From AT&T’s 4G/LTE-enabled Honda Odyssey to Arrow’s Semiautonomous Motorcar (SAM) that can drive around people with paraplegia, this year’s Mobile World Congress Americas made it clear that vehicles as we know them are changing. This momentum is driven both by vehicle manufacturers and consumers. In fact, during Wednesday’s Connected Cars: Driving Safety and Innovation with Wireless, Samsung’s John Godfrey mentioned a recent report by Parks Associates that shows consumers now care more about in-vehicle technology than the color of their car. Just in the last five years, vehicles have made huge strides to get more automated and more connected. Hyundai can remotely remind its customers that it’s time to get an oil change. Telsa can remotely expand the battery life of their cars to drivers evacuating hurricanes. 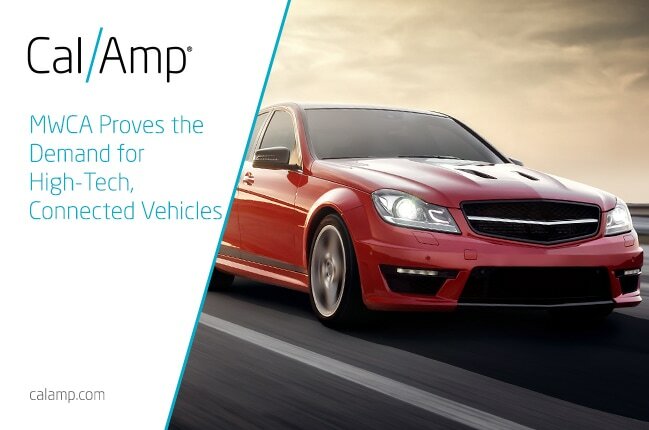 At CalAmp, we are seeing strong demand for our aftermarket commercial fleet solutions that help fleet operators manage vehicle maintenance, connect with mobile workforces and meet compliance mandates . Consumers are taking advantage of our automotive IoT applications that immediately alert them if a loved one arrived at their destination or was involved in an accident. Imagine what five more years of vehicle technology will bring. There will no doubt be many more electric car options on the road, with many carmakers investing in electric vehicle technology and pledging its future sales will rely heavily on this market. Elon Musk wants to take his electric vehicle plans to the commercial truck market, and nearly every auto manufacturer — not to mention tech companies like Google — has plans for a semiautonomous or completely autonomous vehicle offerings sometime before 2020. We wanted to capture this pivotal moment in time, to see how Mobile World Congress Americas attendees imagine how the connected car market will continue to evolve and what the future of telematics looks like. Attendees were all anticipating a future that goes far beyond hands-free phone calls – check out what they had to say. Thanks to all who dropped by our booth, and hopefully we’ll see you again in Los Angeles for Mobile World Congress Americas 2018!